On March 21-22 Hungary hosted the Second Annual TAPAS meeting. Prior to the meeting two workshops were organized. One was focused on the models and tools that are being evaluated and developed for ecotoxicological risk assessment, environmental impact, site selection and planning. The second workshop considered the models and approaches used for assessment of ecosystem services. 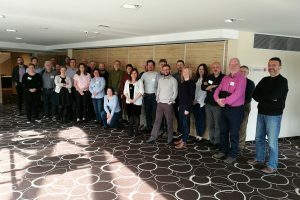 During the Annual Meeting work package leaders provided updates on progress, future plans and also outlined how the work will contribute to the aquaculture sustainability toolbox that is being developed within the project. Main results and plans of the TAPAS project will be presented to the NACEE members during the annual General Assembly.